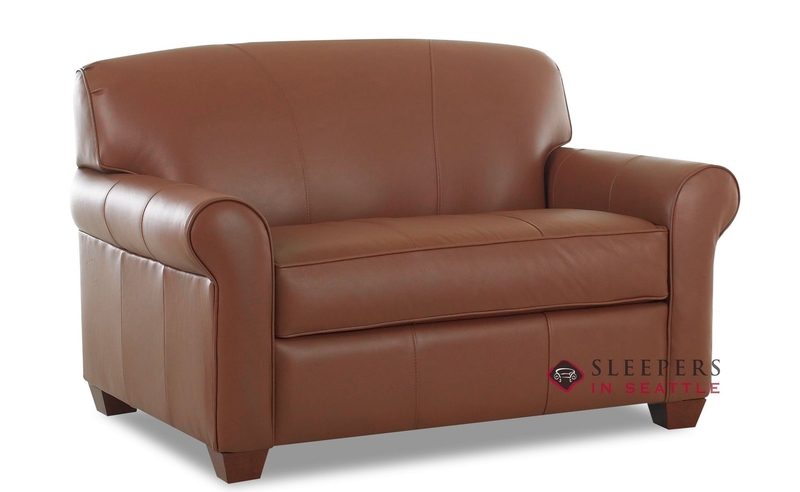 The grace of the Calgary Leather Chair Sleeper elevates this style into a class of its own. The design of the Calgary couples a clean, tightly-upholstered back with box cushions and wood legs to produce a distinctive fashion statement. 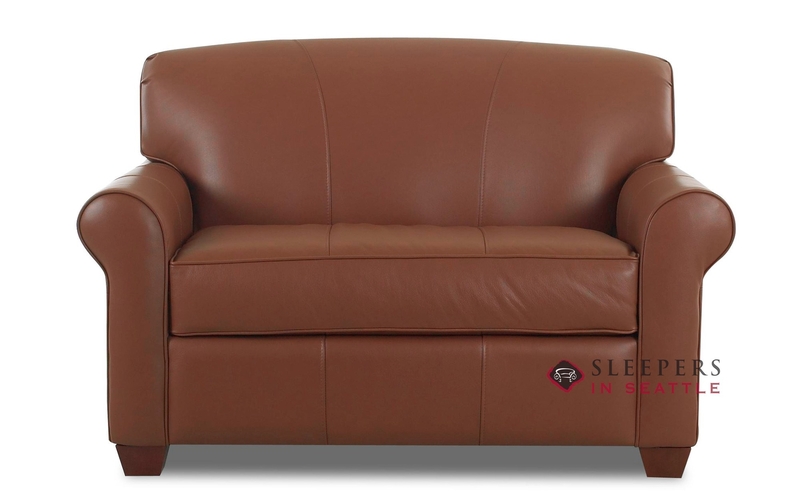 The Calgary is available in a wide range of top-grain leather options, as well as three mattress options. 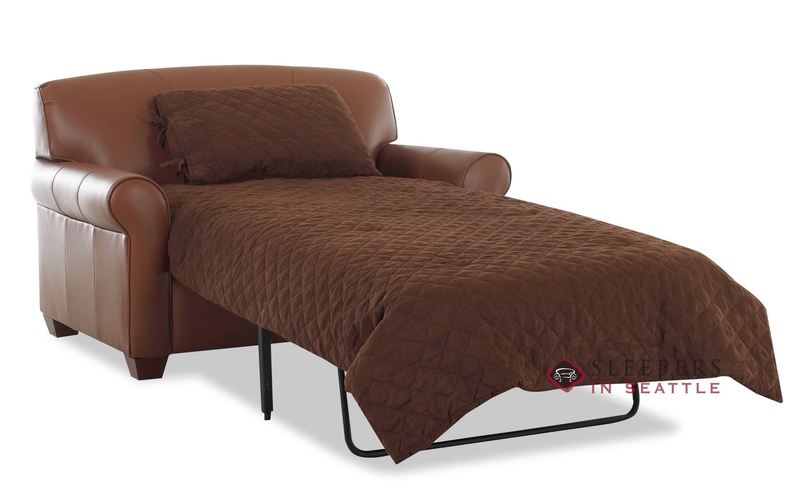 All I can say, is I love my Sofa sleeper chair! This is from the Calgary Leather Collection in Chesterfield Whiskey. 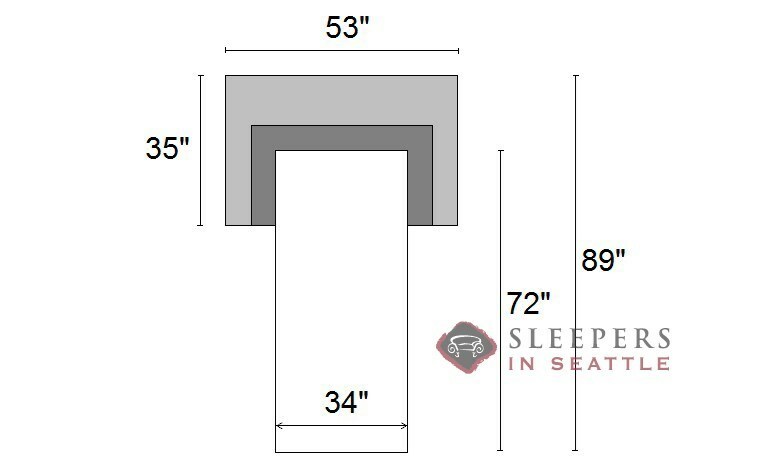 The people at Sleepers in Seattle are wonderful, they were able to tell me everything I needed to know about my order and were very pleasant to deal with. I was a little bit worried about ordering online without seeing what I was buying except from a picture, It is everything I wanted. I just love my sleeper chair. Very comfortable. Looks great and is well made. After looking in Atlanta area and online, I am glad I picked this chair. A quality, good sized leather chair. I was very happy with it when it arrived. 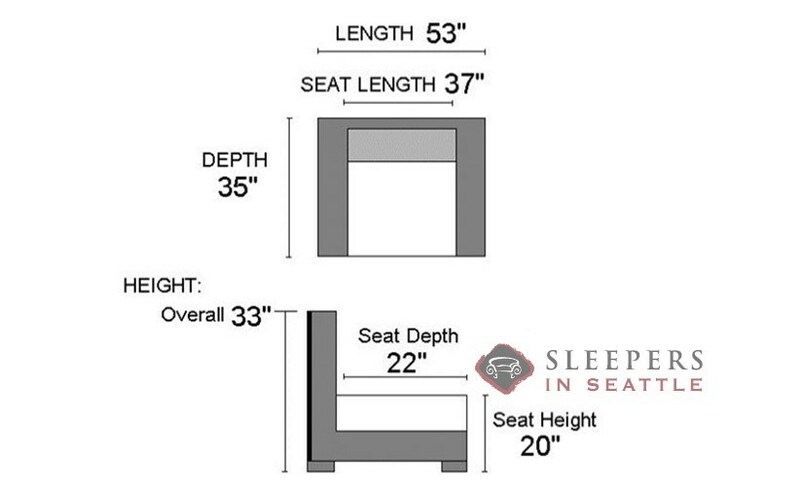 Maybe I'm just missing it, but what is the total length the sleeper, meaning from the very back of the chair to the end of the mattress when it's pulled out? Thank you for your inquiry. The length you are looking for is 89". If you have any other questions, please do not hesitate to ask.